We are pleased to announce that booking is open for the 2017 season & since we started running this photography trip the event has expanded to include three full days of photography! Plus we do try to fit in one or two additional shoreline feeds to boost your portfolio of dalmatian pelican images. 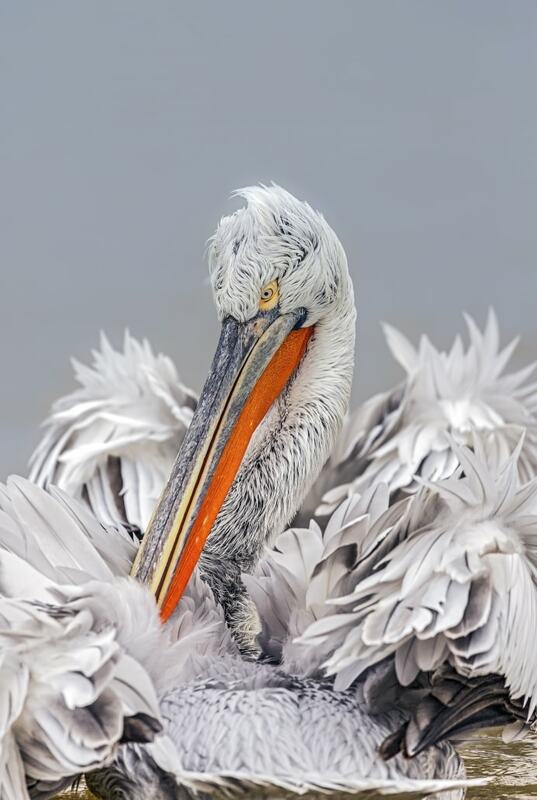 Below is one of Jayne Bond’s stunning dalmatian pelican images captured during the event that we held in January 2016! Following this boat trip, we return to the hotel for lunch in the early afternoon: at about 3pm we head out for the afternoon shooting session, we drive down the edge of the lake to the location where we perform and capture images of a shoreline feed, we shoot literally until the light is gone. When the light is no more, we return to the hotel, clean up & have an evening meal. The cost is £949 per person for 2017, with no single supplement & everyone having their own room – no need to share! Although bookings have only just opened, the trip is already half full, so book a place now. What’s Included in the Dalmatian Pelican Photography Holiday? This entry was posted in announcements, worldwide tours and tagged dalmatian pelican, greece, photography holiday. Whatever your query regarding our photography holiday, Dalmatian Pelican Photography bookings now open, please fill out your details below & we will get back to you.